Fine Art America is a resource I use for showing some of my quality images and making them available for purchase by interested customers. When you click on the link above it will take you to my Gallery at Fine Art America. There you can purchase prints, framed and matted images (canvas, metal, etc.) as well as products that you can use (towels, sheets, tote bags, smart phone cases, etc.) that include the image of your choice from my collection. There are a lot of fun opportunities! Please -- Do not hesitate to take a look and select images of your choice. You can see more about the purchasing process by also visiting the "How to Buy" Tab at the top of my website. One of the best photography sites on the Web! Take fantastic online photo classes with world-class professional photographers, unite with fellow photography enthusiasts, or create a beautiful personal Web site like this. I have taken many classes with some fine photographers. I also satisfied the requirements of of this school to be rated as a Pro Photographer. I am a member of CoPA. As stated on their website, The Coalition of Photographic Arts, Inc., was founded in 2004 by a group of Milwaukee area photographers interested in developing an appreciation for fine art photography. Its goal is to cultivate awareness of contemporary photography through educational programs, lectures, panel discussions and exhibitions. CoPA fosters connections within the photographic community by means of monthly member meetings and yearly exhibitions. Here is a variety of posting that include and go beyond those included on this site. 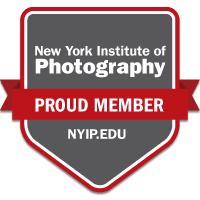 Several years ago I graduated from New York Institute of Photography. It was one of many resources I used to learn the craft and art of Photography. I recommend this photography school and believe that the School helped me see the "light" and follow my wonderful path into all types of Photography. Recently, I was asked by Michelle Echer of the School, as a former student, to comment about my life in photography. I am honored to be included among the School's Success Stories. In the last year, as I have grown in respect for the members of this organization & the opportunities to learn from fine photographers. It has become my favorite photography club in Milwaukee area. Stop by and look at the website, you will fine some world class images. This school has educated photographers for for over 100 years. I received a Professional Photography certifications through this school. It has a forum that focuses on education. A great place to learn even more about photography. This worldwide organization founded in 1934 has members all over the world who include hobbyists, serious amateurs, and professional photographers. PSA offers online photo galleries, image evaluation, study groups, course, competition and way to share, learn, and get recognition in the world of photography. I have images posted in PSA's member galleries. This is among my favorite online digital and film photographer forums. While in no way affiliated with the Nikon Corporation, the members constitute people who use Nikon equipment extensively to share, learn, and inspire as they develop lasting friendships around the world and seek ways to improve in their skills of photography. Here are images that I have shared and posted in this fine community of Nikon camera users. A Fine Photography Club in the Milwaukee area. A friendly group of folks that includes many new as well as experienced photographers that enjoy sharing the experience of Photography. This is a group of fine camera club that support Wisconsin camera clubs and hold semi annual photography competitions. Take a look around. You will find that I have some images in the competition galleries of the past few years for awards garnered at State-wide semi-annual competitions. WritersNet provides various writer's resources. This link takes you to a listing of published work, website, and resume profile of John.